Click the button below to add the Acne Clear Spot #Acne Spot Treatment# to your wish list. Ultra-concentrated, this treatment was created to stop breakouts, pimples and spots immediately. Made with Manuka, Camphor, Lemongrass and more are among the very most antibacterial and anti-fungal natural ingredients found anywhere. This nutritive spot treatment goes deep down to the source of bacteria-causing breakouts. Our clear spot formula begins with contact for healthier, fresher-looking, pimple-free skin. Made with Vitamin E, Castor, Jojoba, and Grapeseed to gently soothe red, inflamed or irritated skin. Helps reduce the visible signs of acne for clearer looking skin. This stuff is AMAZING!!!! I have tried many different kinds of acne treatment, and this doesn't even come close to compare! I could tell the difference just within the first night (I use it at night), and within of it being not even a month my face cleared up! I definitely am not going back to anything else, that is for sure!! Worth every bit of your penny!!! So, what are your options? Well, you can try all the over the counter acne products, but if you have already done that, you know where that’s going. Instead, you can try our Clear Spot that will promote clear, smooth, and healthy-looking skin. This has a calming effect on pimple prone skin. My daughter calls this her magic potion! It works better than anything we have tried so far - including prescription meds - topical and oral. A little goes a long way so it's also very economical. I'm just now ordering her second bottle after 7 months! I'm not affiliated with the company in any way (as one reviewer suggested). Just an average mom with an average teen daughter. I have suffered with persistent mild/moderate acne as far back as I can remember. I've tried EVERYTHING from over the counter to prescription, to infomercial products and while I would get some relief, it was a long process and things usually got worse before they got better only for it to stop working in the end and then I'm back to square one. I ordered this product about 2 weeks ago. I can't believe the difference in my face. My skin looks so much better. It cleared up a breakout at the moment along with some persistent acne bumps I had been dealing with. I love the smell, it's almost therapeutic. Yes, it's oily at first but it's absorbed into the skin quickly. I use it all over my face, not sure if that's the recommendation but that's how desperate I am for the relief of my acne. Well, it works. Before this product I lost count of the new acne forming on my skin. A little over a week later I can only count 2. It's amazing. 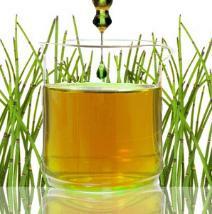 Vitamin E works as an antioxidant that absorbs quickly and softens the skin. Manuka Oil works as a serum for pimple scars and spots thanks to its antibacterial, antifungal and anti-inflammatory properties. Rose Geranium Essential Oil behaves as an antiseptic, which may be helpful against persistent pimples. Lemongrass Essential Oil has antifungal properties that assist with the removal of dead skin cells and increases the elasticity of pores to lessen the appearance of overly large pores. Jojoba Oil, extracted from the Jojoba tree, acts as a moisturizer to smooth irritated skin caused by pimples and it regulates oil production. Castor Seed Oil reduces inflammation, dirt, oil and dead skin without clogging the pores. Camphor can decrease an excessive amount of oil left on the skin while rejuvenating. 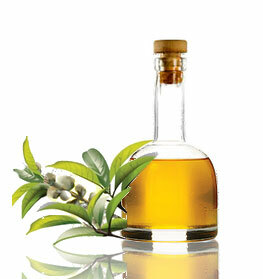 Grapeseed Oil protects the skin to keep it soft. For better results, apply on washed clean skin. Apply one drop on the affected area or apply one drop to a clean finger for better control of how much oil you apply on the affected area. May be used up to three times daily. • Use on the areas where breakouts are occurring to prevent irritation of the skin. • Make sure to moisturize skin with either a light cream or lotion to balance. Leptospermum Scoparium (Manuka) Oil, Melaleuca Alternifolia (Tea Tree) Leaf Oil, Simmondsia Chinensis (Jojoba Seed) Oil, Vitis Vinifera (Grapeseed) Oil, Ricinus Communis (Castor Seed) Oil, Citrus Sinensis (Orange Peel) Oil, Lavandula Angustifolia (Lavender) Oil, Cymbopogon Flexuosus (Camphor) Oil, Cymbopogon Schoenanthus (Lemongrass) Oil, Rosemarinus Officinalis (Rose Geranium) Oil, Tocopherol (Vitamin E). I am very pleased with your services. My order arrived sooner than I expected and in great condition! I must have bought for over two hundred dollars worth of merchandise. And the products...Don’t even get me started! I am totally taken by the spot remover, seriously! It is magic. I am black, more on the light brown shade, never had pimples in my teens, now at 33, I suddenly have breakouts each time my period is about to start. It irritates me because it leaves dark spots impossible to fade after. I tried the L’Oreal, Noxzema, clean and clear to remove zits. Nothing worked! Honest to goodness! With this little vial from you guys, as soon as I feel a sore spot on my face, a little redness or the appearance of blemishes, I rubbed a tiny pinpoint solution on the area and two to three hours after I start to see results. I am telling you! This stuff is to die for. I was hoping to find a skin lightening solution or lotion for the scars, but i could not find any on your site. Please let me know if you offer such product. hi there!i just want to take this time to thank you for these WONDERFUL PRODUCTS you have made( the spot serum especially ) ! I honestly cant thank you enough !! It has only been 2 weeks and my skin have been improving! At first I was skeptical because I've tried so many products and they never work. Later i wanted to try some botanical products and your site popped up! My skin has been breaking out like crazy this month and the spot serum saved me ! I hope more people know about your products and i will definitely be back for more (: thanks ! I love this spot serum! When I feel blemishes forming (you know, the kind that is built under the skin), I put a drop of this & massage it in. The next day, seriously, the bump goes away! I've never had a product that did that for me :). And on existing pimples, it helps to sooth & eliminate them without harshly drying out my face. Only be aware that it smells a bit so I mainly use it at night. I was skeptical, but after using it on a particular blemish for just 2 days it was very effective. I am a female, 35, wth combo skin. I've been getting breakouts lately - ugh! I use a q-tip to apply it at night to a fresh face and my skin is noticeably better. One thing that caught me off guard, it is an oil so I can't wear it under my make-up. Still, on e a day overnight seems to be helping so much! I am quite pleased. This product is amazing. I applied this product the night before I went to bed and once I woke up I saw that there was no pimple!!! I can't believe this how wonderful this product is! I've always had problems with single zits. They would bother me and after obsessive-compulsively trying to pop and clean them I'd end up with a huge irritated scarred over mess that I tried to cover up with concealer but that doesn't hide a huge bump on your face. I tried the proactiv spot treatment but that just dried out the zit leaving a dry spot on my skin that would peel and leave a red scar. This stuff is unlike anything I've ever used. It smells strong to be sure but it's made with natural oils. It doesn't dry out my skin and it will CLEAR my zit overnight, if not within two days. I haven't had a problem since I bought this stuff and it's given me confidence and I don't even feel the need to wear makeup anymore since my skin is and will stay clear! I've recommended this product to my family and friends and wish I had it when I was a teenager. I love having clear skin and not worrying anymore when I see a new zit form. I never write reviews but kudos to the people who made this stuff!! I've been using "Clear Spot" for about 3-4 years and have found that it does an excellent job of treating my blemishes. Typically, I will apply before going to bed and see a significant difference in my skin when I wake up in the morning! I highly recommend to anyone looking for a more natural approach to treating adult acne! This product has been a blessing to me, I suffered from acne, dark spot and Hyperpigmentation. Using this product for two weeks I saw a huge difference my skin has improve so much, no acne and my dark spot are going away. I’m so happy I found the solution to my problem won’t stop using it. This has really helped clear up my acne that I still get. Now I have used this product for the last few years. Now I do love it but I just wish it was cheaper. It has cleared my face and really has made my skin healthier. But every time I go to make this purchase I am a bit hesitant just because the price. Maybe I am just being cheap. I’ve dealt with acne since I was a teenager with no solution in sight. A few months back a friend of mind told me about a product she got and let me try it. This clear spot oil is wonderful. I use it 3 times a day and people have said my skin looking heathier and clearer. I now made my own purchase and happy I did. No irritation or super dry skin. I have sensitive skin and I have to be careful with which products I use. Ive tried natural companies before but I always had issues. Just Nutritive Clear Spot has changed my life. I use this every morning right after I shower. I just apply it to the places that my acne is bad. It really has improved the look of my skin dramatically. Just make sure you apply a little because it goes a long way. Smell is strong only downside. This product is fantastic. For me personally I saw an immediate improvement in my acne. I’ve been able to use it three times a day with out any irritations or my face drying out. So happy this product exists. I would recommend this product for anyone suffering with bad acne. Stepdaughter just turned 13 this year, with it came acne. It covered her tee zone and across her nose. Her skin was red and very irritated. I noticed her touching her face, she said it was itchy. I use some of your products and tell everyone about them. So of course it's the first place I looked for answer. Two weeks later her skin looks beautiful!!! She also used the face calming moisturizer. Easy to do, doesn't take a lot of time. Just what a 13 year old ordered, doesn't interfere with her busy life.